If you are going into the wilderness and you hit problems and you don't take a rescue beacon with you then it can be very hard for rescuers to find you. We offer next day delivery to anywhere in New Zealand** and offer a hire service or you can purchase your own. If you have a query, please call Mike on 021 0294 1521 or drop us a note through our contact form. 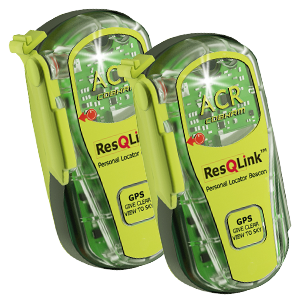 Rescue Beacon Hire Ltd Sell and Rent 406 Mhz Emergency Personal Locator Beacons (PLB’s) in NZ for Climbing Mountains, Tramping, Walking, Fishing, or Flying a Microlite, Horse Riding, Pig Hunting, Deer Stalking, Sailing, Kayaking, Canoeing, 4WD or for Farmers working on the Back Block and many other uses. We recommend, Sell and Hire ONLY "GPS ENABLED" 406Mhz Personal EPIRB’s because the targeted and rapid response​ can make the difference between YOUR LIFE and YOUR DEATH. A non GPS PLB can indicate your position within a number of square kilometers – a GPS enabled PLB can give your position within a few metres. Today there is no reason not to take a Rescue Beacon with you when you are off on your outdoor activities. A PLB from Rescue Beacon Hire is now more affordable than ever to buy (check out our Special Offers in the Shop) and if you are not yet ready to buy you can even rent one from us on the Hire Form page either on a long or short term basis. Long Term Hire - More than 60 days? Does it worry you that someone close to you goes off on adventures or even just to work in remote locations without an Emergency Rescue Locator Beacon? Well now you can do something about that too!! Buy them a Rescue Beacon or Hire them a Beacon and get them started on the habit of taking a Beacon with them!! We believe our prices both for Sale Goods and for Beacon Rental to be the most competitive in NZ. However, should you find a better price for equivalent goods or comparable rental from a Commercial Competitor simply send us the details and once verified we will do our very best to beat it. We will not be beaten on price. Our aim is to provide you with the Best Products at the Best Prices. All PLB’s both for sale and rental from Rescue Beacon Hire are 406 Mhz top of the line models with GPS. This means that once activated, your position, anywhere in NZ, is established within a few metres and help is on the way. Be responsible help cover some of the risks of your own activities with a Rescue Beacon PLB TODAY. ** Next Day Delivery – This is possible provided that the Hire Request is received by RBH by 2p.m. and is subject to beacon availability. Beacons may still be able to be despatched after 2pm but, by requiring an additional special trip to the Post Office, will incur a Special Despatch Fee of $5.00 per Beacon. For the sake of clarity, Next Day Delivery means the targeted date for delivery as advised by the Courier Company. Whilst every care is taken by the Courier Company to achieve their targeted date (which indeed they do achieve in most instances) please note that Rescue Beacon Hire Ltd cannot be, and is not, responsible for the acts or omissions of any Courier. Customers, for peace of mind, are recommended to allow an extra one or two days on their booking form. *** Minimum Hire Charge is $30 plus Courier at $5.95 each way.